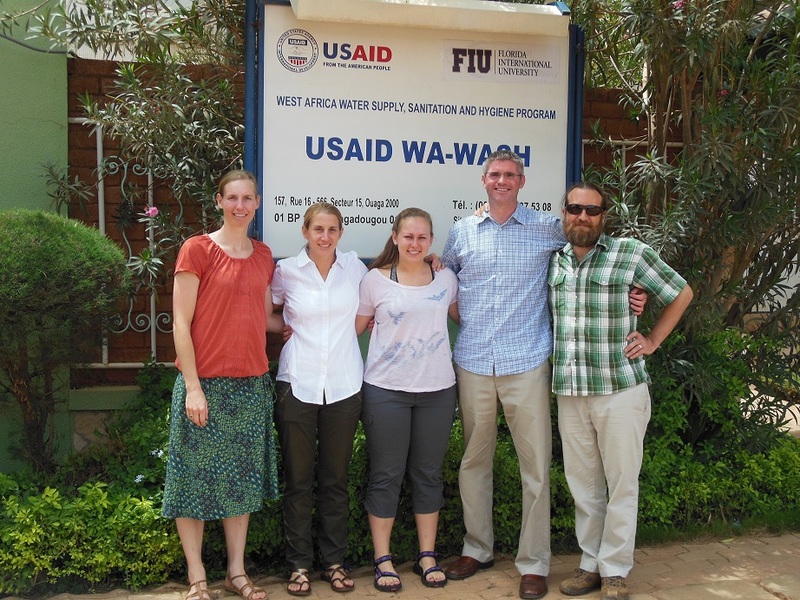 On Sunday, our research team – consisting of Emily Van Houweling, Sophie Wenzel, Nicholas Polys, Paige Williams, and I – arrived in Burkina Faso to study the water accounting process developed by Winrock International as part of their Multiple-Use Water Services (MUS) project. Our team will be here for two weeks, during which we will visit project communities and identify opportunities to further advance the water accounting process by drawing on the unique skill set of the research team. Winrock’s MUS project is one of several funded by the USAID WA-WASH (West Africa Water Supply, Sanitation, and Hygiene) Program. The WA-WASH program focuses on increasing sustainable access to safe water and sanitation and improved hygiene in Burkina Faso, Ghana, and Niger. The program is a complex endeavor that includes some thirteen partners and is led by Florida International University (FIU). This research expedition was made possible by a grant from Virginia Tech’s Institute for Environment, Culture, and Environment.